Amazon has had a significant impact on almost every supply chain that exists. Supply chains must be more responsive, handle more products and still minimize cost to either supply a company like Amazon or compete. Supply chains collect a lot of data and most are not making use of that data to optimize their supply chains. Many data scientists at Business Science Solutions come from a manufacturing and supply chain background. Some of us are also Lean Six Sigma Black Belts which gives us an eye for process and data. This makes us one of the few firms that specializes on implementing data science in the supply chain. Integrating data science and machine learning techniques into supply chain processes has allowed our customers to save up to $10 MM year over year in inventory, labor, warehousing and lost revenue opportunities. Below are a few ways we have done that in supply chains. Supply chains rely on demand and supply planning to keep inventory in stock and customers happy. This is typically done through time series demand forecasting and MRP (material resource planning) methods for projecting inventory. These methods allow a supply chain to function, but are often far from optimal. Forecast accuracies of 75-80% are often thought of as world class and forecasting is typically done at an aggregate level. This creates a lot of generalization of products within the supply chain. We have helped supply chain planners enhance their forecasting process with supervised machine learning methods. These methods operate at a product level, take into account multiple factors besides just demand history and work to create a more accurate forecast. Since a machine is detecting the demand patters, all products can be forecasted individually, allowing better short term planning and detection of supply issues. We have helped improve our customer's forecasting accuracy by up to 50%! In addition to forecasting, we have helped automate large pieces of the planning process with artificial intelligence and machine learning through predictive screening of market intelligence, automated routing of supply chain channels and automated supply quantity decision making. Manufacturing plants have their own internal challenges. Their main goal is to optimize their production processes while producing orders on time with the highest quality. One classic example of data science in manufacturing is with predictive maintenance for machines. Often large amounts of time and money is spent on machine breakdowns. Predictive maintenance uses sensor data from machines to return data that is crunched by a machine learning model. This model will predict potential failures and alert the maintenance team of what maintenance is required and by when. Machine learning can even optimize the schedule of that maintenance. This reduces equipment downtime, improves efficiency and eliminates those costly machine breakdowns. One often overlooked aspect of manufacturing are administrative operations such as quoting and scheduling of production. Often these elements are difficult to optimize and take large amounts of man power. We have designed applications that use machine learning to take in elements of a job and produce a quote instantaneously. This system consistently updates itself by learning from prior production performance on like products producing an accurate instantaneous quote. We have also implemented scheduling solutions that take in data directly from the manufacturing plant and make recommendations for adjustments and plans out future production from the incoming flow of new orders and likely quotes. This connects thousands of data points and saves hundreds of man hours and ensures all relevant data is taken into consideration when scheduling! Often some of the most difficult problems in logistics and transportation are not related to the physical shipping of goods, but rather the paperwork and administration related to logistics. Data science can help by using computer vision and machine learning to assess quality of shipping documentation and information and detect when mistakes are made. This reduces man hours in correcting and identifying mistakes and ensures correct information is flowing through the supply chain. Second, the shipment and on time availability of goods can be predicted based on weather patterns and historical shipping performance. This allows distributors of goods to reduce their inventories by being able to more accurately predict the timeline of goods flowing through their supply chains. At the warehouse, this can also help predict when containers or shipments of goods will arrive and when staff should be available to unload. This allows for staff to be used in other operations and only receive when necessary. Two of the biggest problems for supply chain driven businesses are deciding when and where inventory is needed and having complete visibility of the supply chain. Both of these problems require connecting data across the entire supply chain and using it to make inference. We have used machine learning to help solve this problem due to machine learning's ability to process millions of data points individually instead of as a group. This has been used to alert supply chains of potential demand shifts, provide preventive stock issue messages, optimize inventory and help the business pinpoint product opportunities. Decisions can be made with confidence or automatically using artificial intelligence. 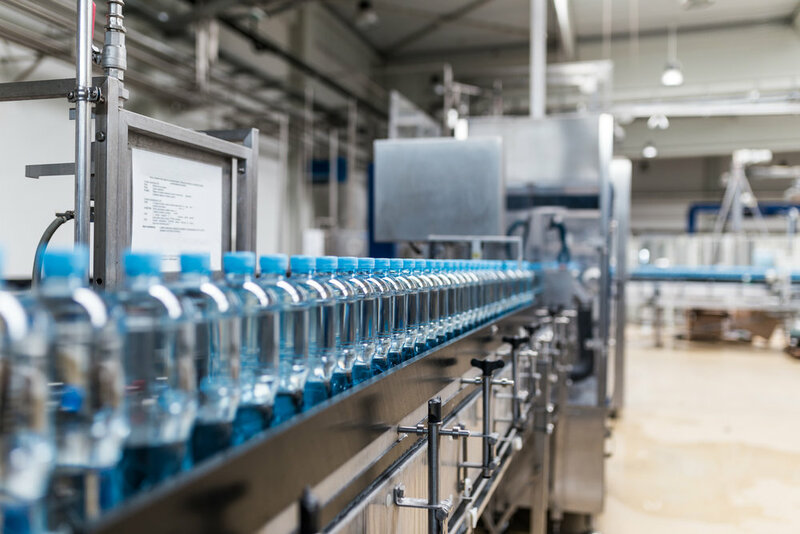 These kinds of solutions have been used to increase fill rates by 20%, reduce inventory by 35%, improve manufacturing up time by 20% and reduce overall man hours in managing the supply chain. There is tons of opportunity for data science, machine learning and artificial intelligence in the supply chain. Get your free consultation now!